After IDW started publishing Disney comics we have seen 3 stories drawn by Norwegian Arlid Midthun, and I hope we'll see more in the future! If you haven't read any yet I recommend checking out "The Substitute Santa of Strathbungo" printed in IDW's Uncle Scrooge #21, with Scrooge as a young boy in Glasgow. Among the stories we haven't seen in English yet is a series of crime riddles with Donald & company, created in collaboration with novelist Gunnar Staalesen. But they are not the only crime riddle comics the two them have created together. 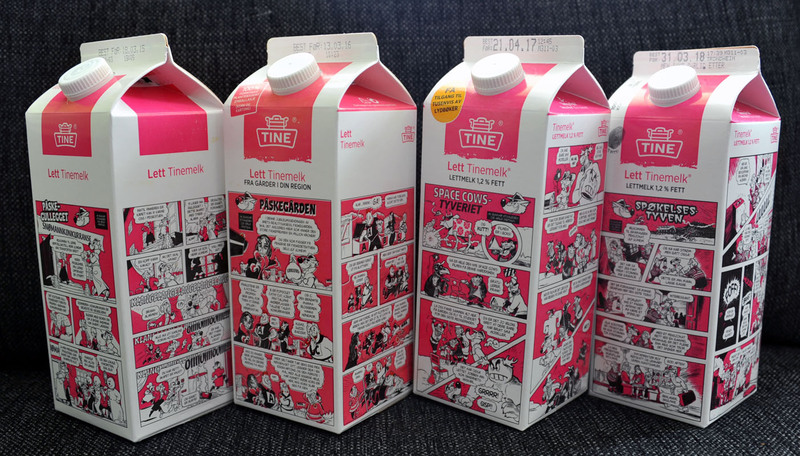 For the last 8 years they have created comics printed on Norwegian milk cartons. And the comics are only printed on the cartons during the Easter Holidays (and the week before). If I didn't make it clear these are not Disney comics, but an original creation with the detective character "Ulf Ulvheim". 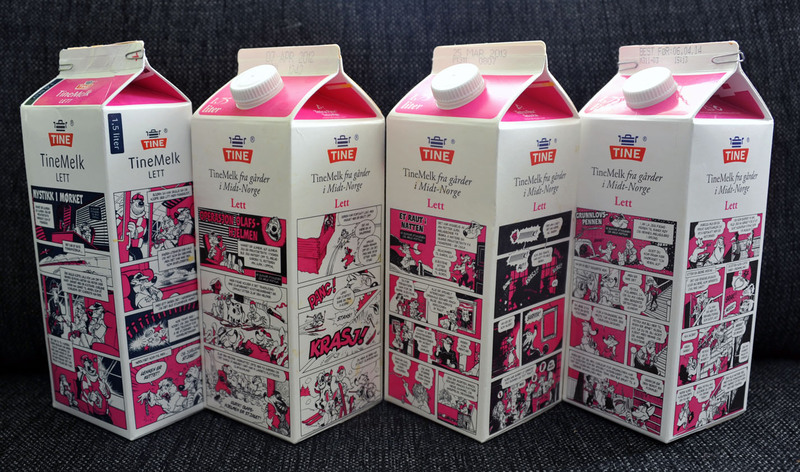 But the drawing style is very similar to Arild's Disney comics.